The British Government's annual reports on Mandatory Palestine make for fascinating -- and often grim -- reading. The annual reports detail social and political developments in Palestine, but large segments are also dedicated to detailing the violence between Arabs and Jews. One can also perceive in the reports the increasing pressure to shut the immigration doors to Jews fleeing the monstrous threats in Germany and Poland. We are fortunate that the thousands of photographs taken by the American Colony photographers during this period provide a visual window into the events of Palestine. The 1936-1939 British reports are particularly important for understanding the scope and threat of the Arab Revolt and the attacks perpetrated against the Jewish Yishuv. The warfare of the 1930s was a harbinger of the Arab attacks during Israel's War of Independence. Jerusalem during this whole period was usually at the epicenter of the violent tremors. 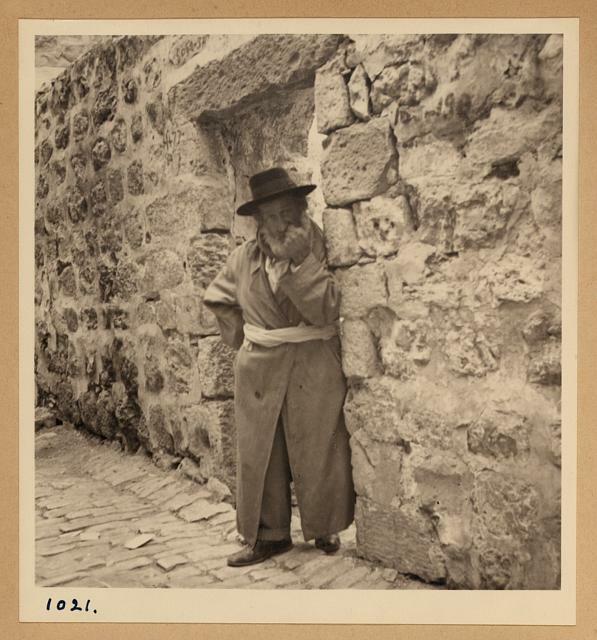 We present several pictures of Jewish residents of the Old City. ﻿﻿ The year 1936 in Palestine was dominated by the disturbances which lasted throughout the country from the 19th April to the 12th October. 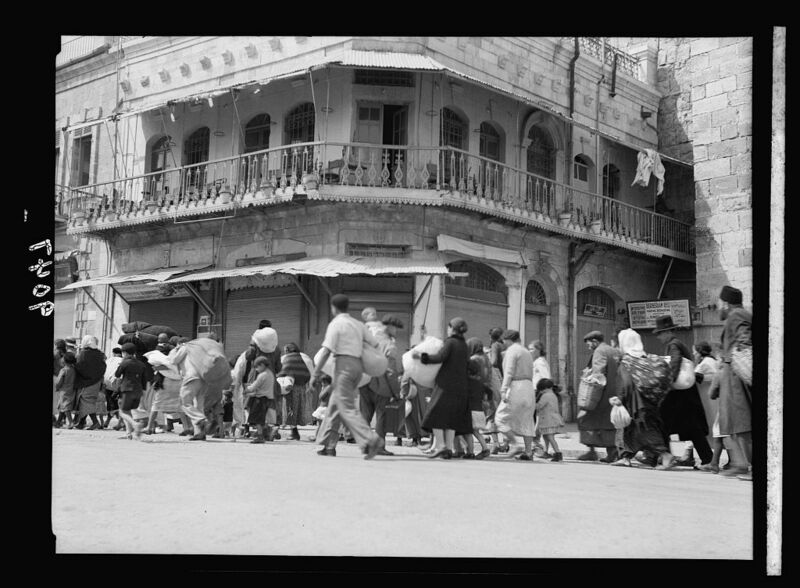 In Jerusalem a few assaults were made by Arabs on isolated Jews, while a large number of Jewish shops in the Old City were closed and Jewish residents in the Old City or in Arab quarters began to move. During May and June a perceptibly increasing amount of lawlessness and disorder developed throughout the Jerusalem, Northern and Southern Districts in the form of attacks on public and private Jewish property, sabotage on railways, telegraph and telephone communications.